Noel Robinson | Devoted - AVAILABLE NOW! home > albums > devoted - available now! CONGRATULATIONS to Noel Robinson for winning the Award for "UK Album of the Year" for his latest album 'Devoted' at the Gospel Touch Music Awards. 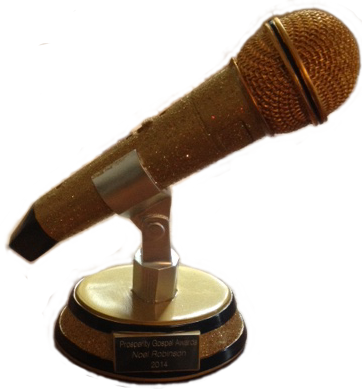 THANK-YOU to everyone who voted for Noel's nominations for the Gospel Touch Music Awards. 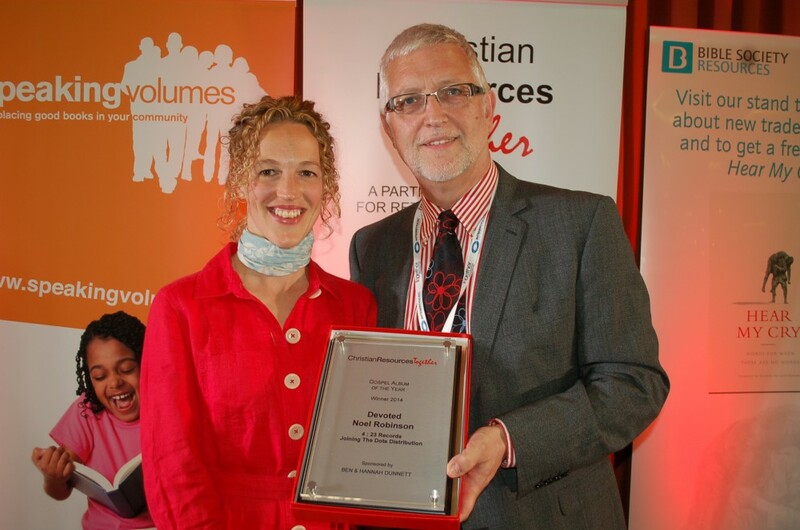 Noel Robinson nominated for and received the Prosperity Gospel Award for his contribution to UK Music Ministry. 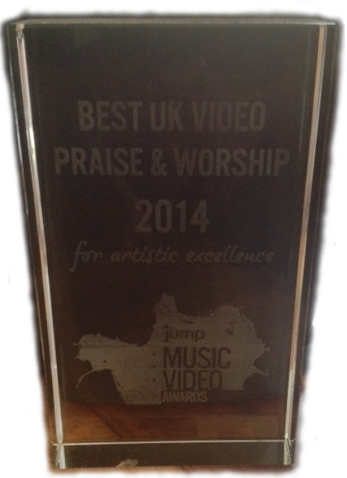 The Music Video 'I Am Devoted' from Noel Robinson's *new* album 'Devoted' which was filmed, edited and produced by Uvi Orogun, was nominated for "artistic excellence" for the Best UK Video Praise & Worship 2014 at the Jump Music Video Awards held at The Drum in Birmingham, UK on Friday, 13 June 2014, and won. Jonathan Bugden of Joining the Dots Distribution, received the award for 'Devoted' as presented by Hannah Dunnett of Ben and Hannah Dunnett Cards & Gifts. 'Devoted' was nominated alongside Israel Houghton, the Oslo Gospel Choir and Hillsong United's respective albums for the Gospel Album of the Year at the Christian Resources Together Awards held at The Hayes Conference Centre, Swanwick on Monday, 2 June 2014 and won. "I am deeply honored in this season to be recognised for work carried out in 2014. The album 'Devoted' doesn't just represent my story, but it is also the narration of the lives of many artists and musicians who are working sometimes unnoticed in sharing the Good News. I want to thank everyone who has supported my ministry and every platform that has allowed me to perform and minister. I don't just represent myself, but the Kingdom of God and those that work tirelessly to make what I do happen. Thank-you to Jonathan Bugden, MD of Joining the Dots Distribution, thanks to the CRE Awards, Jump Music Video Awards and the Prosperity Gospel Awards for your acknowledgements." Click here to purchase your copy of 'Devoted' now! "I am Devoted", the title track from "Devoted", has been voted No. 1 on the Step FWD UK Top 10 Christian Charts! Steve Alexander Smith, author of British Black Gospel, for his article "Brazilian Gospel VS British Gospel", where Noel Robinson's new album 'Devoted' is featured. for her article about Noel Robinson's new album 'Devoted'. for her interview with Noel Robinson about his new album 'Devoted'. for his review of 'Devoted'. Our thanks and gratitude to B at Premier Christian Radio for her interview with Noel about 'Devoted' on Premier Drive. Our thanks and gratitude to Jono Davies at Louder than the Music for his review of 'Devoted'. Our thanks and gratitude to Marcia Dixon at Keep The Faith for her interview with Noel about 'Devoted'. Our thanks and gratitude to Matt Brooks at M-Brio Music for his review of 'Devoted'. for their review of 'Devoted'. Today for her review of 'Devoted'.